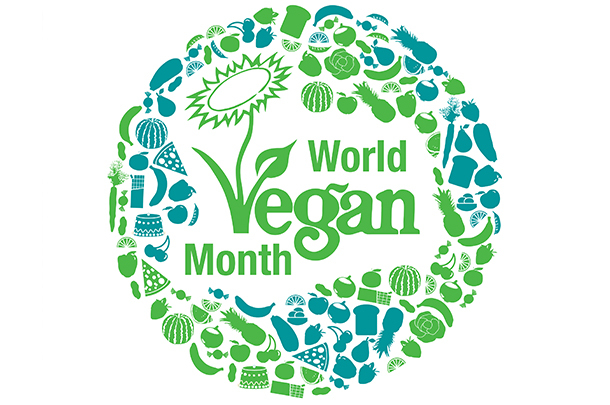 We Love World Vegan Month! November is Vegan Month. Starting with Vegan Day on 1st November; we celebrate the lifestyle that is good for animals, good for the environment, and naturally, good for you. Most importantly, Vegan Month is home of the Great Vegan Challenge; a call for those with a curiosity for veganism to give it a try for 30 days. The hope is that by seeing how enjoyable and sustainable veganism can be, people will feel empowered to avoid animal products for good. In 2016, half a million people in the UK were classified as vegan. This is double the amount that was recorded a decade ago. Impressively, one in five people in the UK under 35 have attempted a vegan diet. Many attribute this to documentary films like ‘Cowspiracy: The Sustainability Secret’ which brought to light the significant environmental impact of animal farming. Similarly ‘What the Health’ (created and produced by the same team) outlined the specific health consequences caused by ingesting animal products. The film also suggests that there are financially-centric alliances between the meat, dairy and pharmaceutical industries that mean that nutritional information is (at best) unreliable. So, it seems that people are moving towards being more mindful about the real impact of eating, using and producing animal products. At Feedr we want to encourage readers to understand that veganism should be defined by a diet of nutritious food that taste great, not by all the foods you can’t eat. For breakfast, enjoy a Kate & Sweet Potato Breakfast Hash from Ethos Foods, sautéed in coconut oil with organic scrambled tofu, turmeric and spices. As that middle of the day hunger rolls around, you can tuck into a Five Bean Chilli & Rustic Cornbread by Deliciously Ella. That’s a five bean chilli drizzled in garlic cashew cream, with rustic corn bread and crunchy coleslaw. For Dinner, enjoy Pollen + Grace’s Vegan Immunity Box (below), with Grilled Portobello mushrooms with a creamy turmeric dressing, black rice, massaged kale and a sprinkle of vegan parmesan. With a little bit of planning, veganism can be an enjoyable and rewarding lifestyle. Help your team make the change by organising delicious healthy vegan meals for them in the office.